Maintenance of packaging equipment is critical to its longevity and performance. A well-maintained machine will serve you and your operation for many years to come. To get you started on the road to maximum throughput, we're sharing some expert tips for proper packaging machine maintenance. Automation Mag touts preventive maintenance as the number one recommendation for a long machine lifespan. 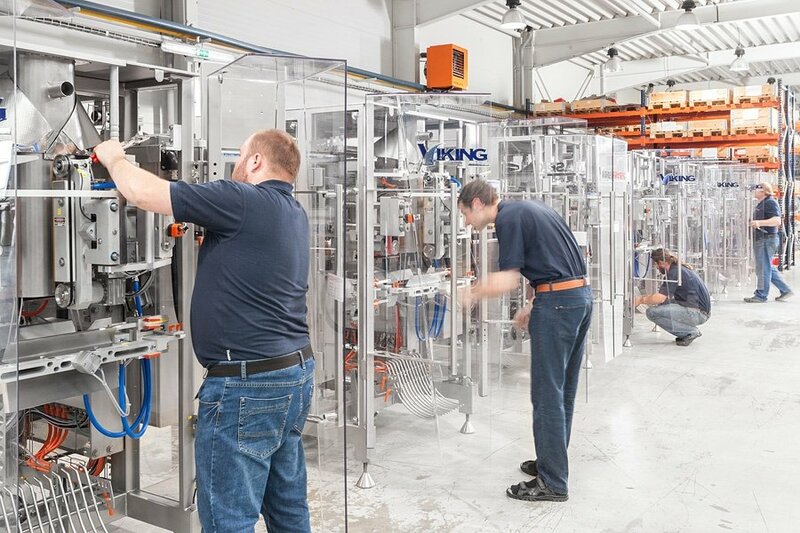 For good reason: A packaging machine, like a car, needs to be periodically and regularly maintained to ensure optimal production and peak Overall Equipment Effectiveness. Formulating, and more importantly adhering to, a preventive maintenance schedule is of utmost importance after installation of a packaging machine. These preventive maintenance activities often necessitate a higher level of technical training and expertise, and as such should only be performed by highly qualified and trained personnel or a certified service technician from the packaging machine manufacturer. Top packaging OEMs provide Service Audit and Preventive Maintenance Plans with regular scheduled onsite visits tailored to your individual business needs. Automation Mag recommends pairing the more in-depth assignments associated with a Preventive Maintenance Plan with easier, task-based activities that are carried out at regular intervals by trained machine operators. Operating off of a preventive maintenance checklist, operators are tasked with activities they must perform on daily, weekly, monthly, quarterly, and biannual intervals. These tasks often contain simple visual cues, and because the operators become familiar with the machine with repeated maintenance tasks, they can often detect when something is 'off' before a scheduled OEM technician visit would. When your packaging machine is down, every second counts. Ideally, before purchasing a piece of equipment, you have properly vetted the OEM to learn the details of their technical service availability, methods of contact, and related costs. Partner with a packaging machine manufacturer in which an actual person will answer your call or email, and one that has remote capabilities to access and troubleshoot problems without unnecessary and costly onsite visits. Availability of video conferencing via mobile apps is an added bonus that can also decrease the need for onsite visits. A - High wear parts. These parts have a shorter lifecycle or are not standard items and have a long lead time. B - Medium wear parts. These parts have a longer lifecycle and may or may not ever fail. C - Low wear parts. These parts should never fail. It is always recommended to keep high wear parts in stock. The last thing you want to do when your machine is down is wait for a part to be fabricated or shipped. Every minute your machine is inoperable during production hours is money down the drain. Inevitably, packaging equipment and software require upgrades and sometimes replacement when a certain machine or component is made obsolete and no longer supported. Technology develops fast these days, and packaging equipment is no exception. Maintain close communication with your packaging equipment manufacturer to learn of necessary or recommended equipment upgrades and to ensure notification if your particular piece of equipment is being phased out. If so, formulate a proactive plan for upgrade or replacement of your machinery, components, or software that will minimize downtime. How do Automatic Pouch Filling and Sealing Machines Work? How do Vertical Form Fill Seal (VFFS) Machines Work?